I published my first post on Christmas day, December 25, 2009. I've learned a lot in the past few years. But, when I first started blogging I didn't add labels to my post. So to make a long story, short. I'm adding labels now. I've been going back and adding labels in evening while I'm watching television. Well this post was accidentally published again, and I decided to share this post as it was posted sometime in February, 2010. I would like to share with all my blogging friends the views I enjoy. 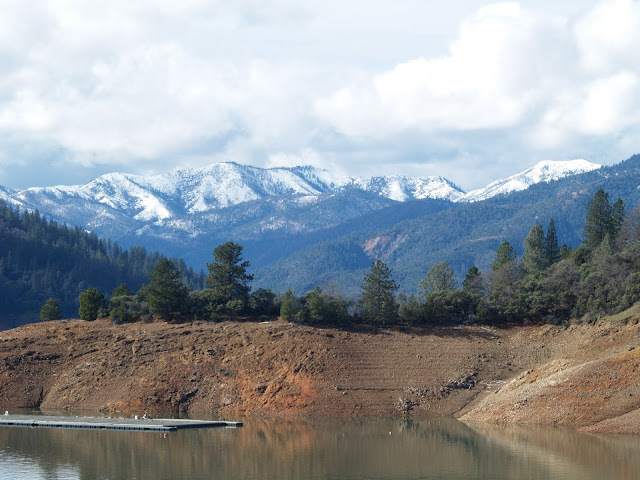 I live in Northern California and this is a view of Shasta Lake looking toward the mountains from Bridge Bay Resort. I took this photograph on January 31, 2010. There was a break in the rain and a Sunday ride was the order of the day. 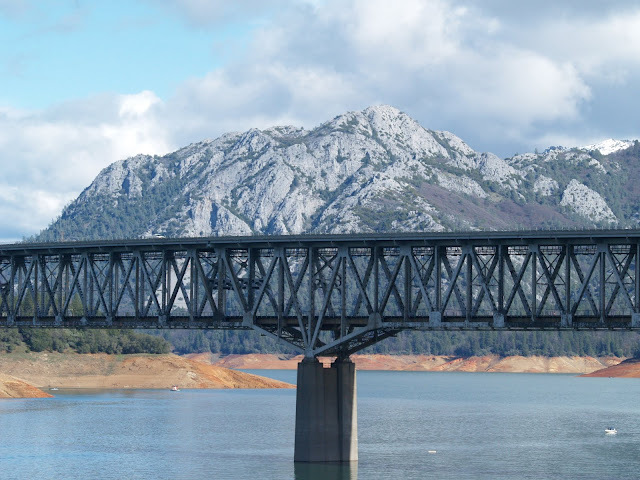 This is a photo of Interstate 5 crossing the lake going north toward Mt Shasta. This is a view of the house boats moored to the side of the lake during the winter. 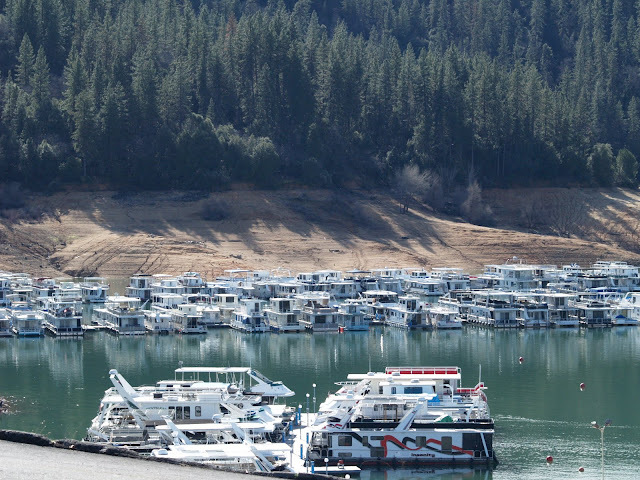 The boats are moored to docks that move up and down as the lake raises and falls according to the amount of water that is released from the dam. In the summer they are moved closer to the resort for easy access. Just another look at the beautiful lake. p.s. We just purchased a boat and will be enjoying this lake next summer. Very beautiful. I miss living near the mountains. We vacation often in the mountains which are about 4-5 hours from here. Nice to see your pics. I am sorry but for some reason I was having trouble leaving a comment. One more time..
What a fabulous view! Great shots! Those Lemon Dimples look great. I may have to try them because my youngest son loves lemon treats. Breathtaking photos! So glad you shared these pictures with us at Throwback Thursday! What a fabulous way to start my day! 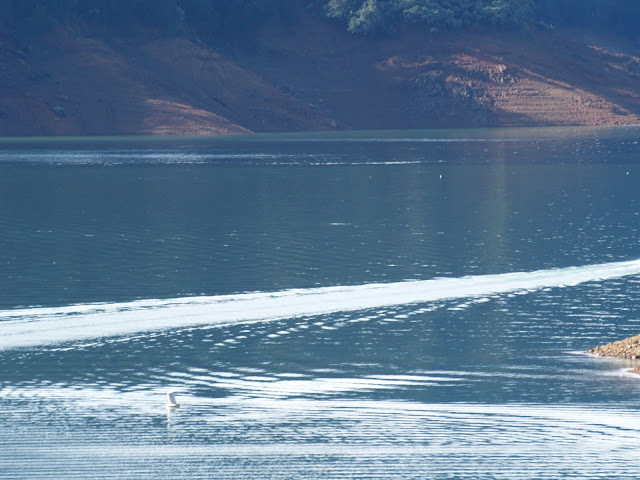 Haven't been to Lake Shasta but I have been to Oregon many many times - my brother and his family live over there south of Portland. That lake with the boats sure looks shallow. Very lovely lake, have a nice week end! There's a lot we learn as we go - I am going back and 'making better' older posts - lots of work, but I think worth it in the end....you'll have a blast boating here - such a gorgeous view!